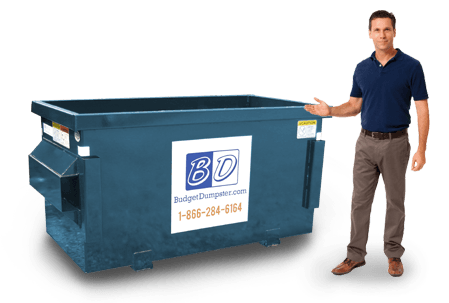 Budget Dumpster wants to provide your business with weekly waste removal for a reasonable price and with fair terms. Unlike our competitors, we offer a 1 year contract because we want you to experience the Budget Dumpster difference, but we also don't want you to feel locked in with a 3 year contract. Our rates are some of the best in the business and we want to provide you the most cost efficient method of waste removal. Our commercial dumpsters in Palm Bay can be used for a variety of businesses. We have customers who own their own restaurants, apartment complexes, office buildings, warehouses, retail stores and much more. 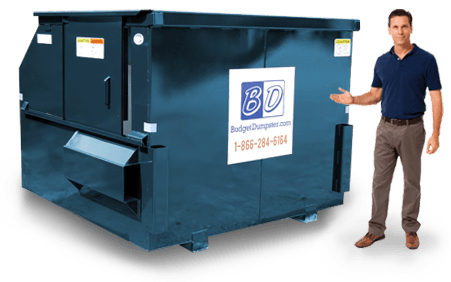 No matter what type of business you have, Budget Dumpster wants to provide you the cheapest commercial dumpsters in town. Here at Budget Dumpster, our customer service representatives are our shining stars. They are all trained and extremely knowledgeable in the waste removal industry. 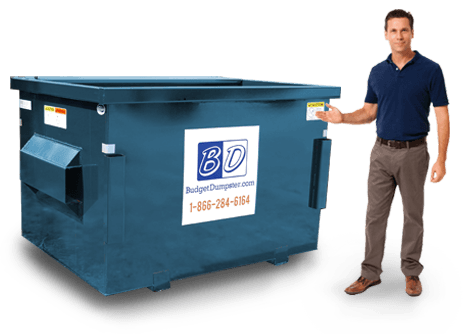 If you are unsure about what kind of dumpster your business needs, we can help. We have experience with all different types of businesses and their waste materials. 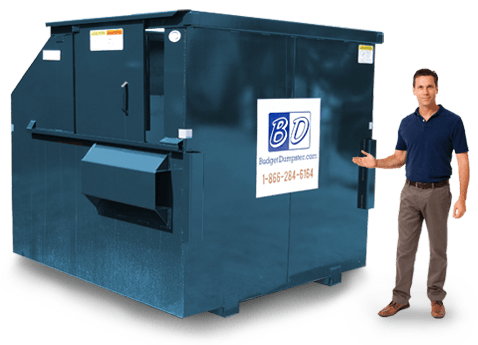 Ordering a commercial dumpster in Palm Bay is simple when you go with Budget Dumpster. All you have to do is call into our corporate office and you will be speaking directly with someone who can explain the process of weekly waste removal for your business. To get started, take a look at the size options we have available in the sections below and then give us a call. What Can?t I Put in the Dumpster? Our commercial dumpsters in Palm Bay can accept a wide variety of waste debris. You can use our dumpsters to toss out food waste, paper products and just about anything except for hazardous or flammable materials. Due to regulations enforced by the EPA, our dumpsters cannot be contaminated with hazardous waste. Hazardous waste can be items such as paints, lacquers, chemicals, batteries and much more. You can find a detailed list of our prohibited items here. If you are ever unsure about what materials can or cannot go into your dumpster, feel free to call us and ask. What Size Commercial Dumpster Do I Need? The size dumpster you will need is based upon the amount of waste materials you accumulate each week and how much all of that trash weighs. Our 2 yard dumpster is the smallest size commercial dumpster we offer and it comes with an 800 pound weight limit. These dumpsters are best used for businesses less than 2500 square feet in size. The next size dumpster we offer is our 4 yarder, this dumpster is great for your average size restaurant or small retailer. Our second to largest size commercial dumpster is our 6 yarder, this dumpster is the most popular choice because it has a 1400 pound weight limit and a sliding door. We recommend this dumpster for office parks and shopping plazas. Last, but not least, is our 8 yard dumpster. This dumpster is reserved for large warehouses and manufacturing plants.